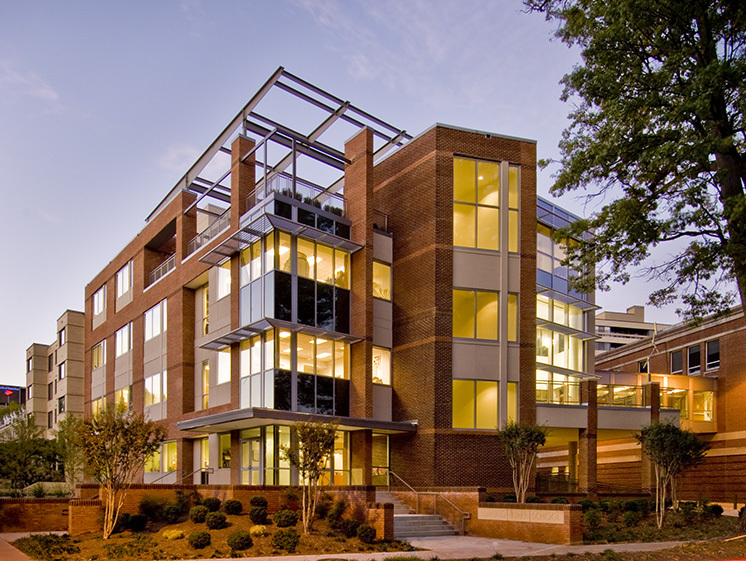 A new four-story Academic Center connects to the existing school by a pedestrian bridge and sits atop a 47 car underground parking garage. 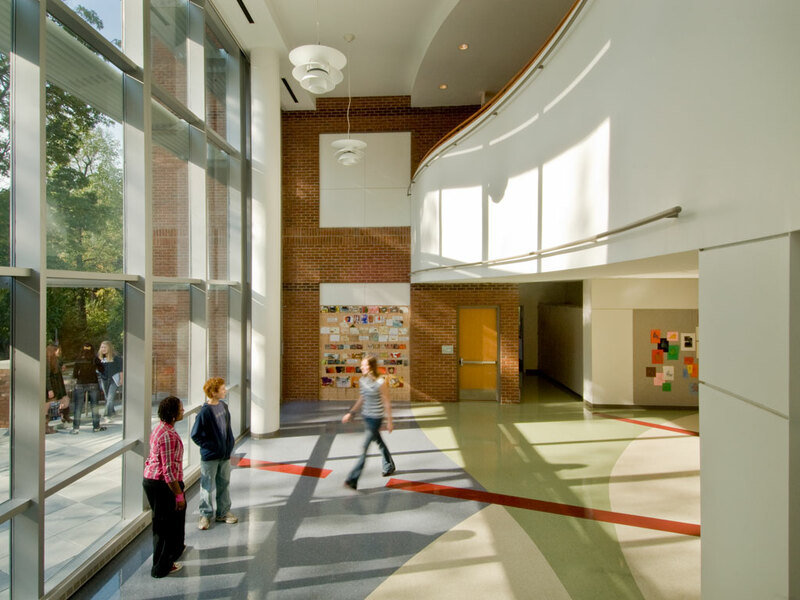 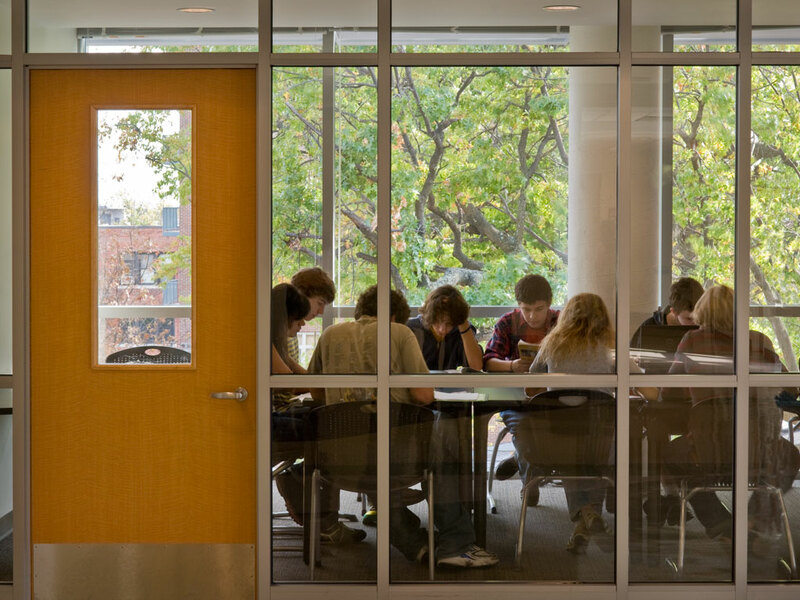 The project features a large student commons, a studio theater, drama and arts classrooms and labs. 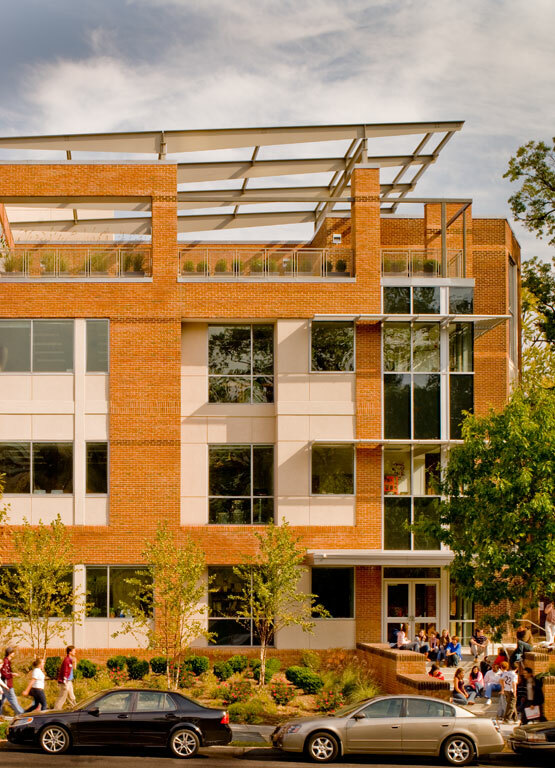 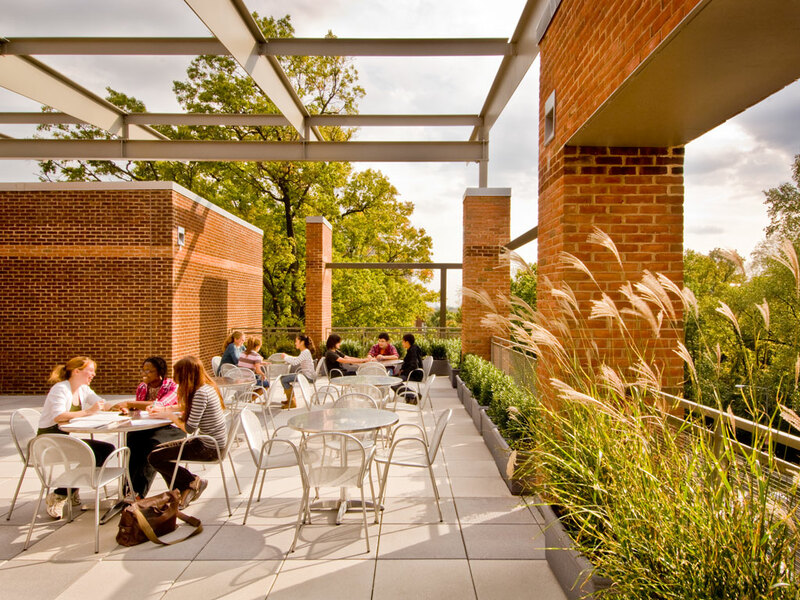 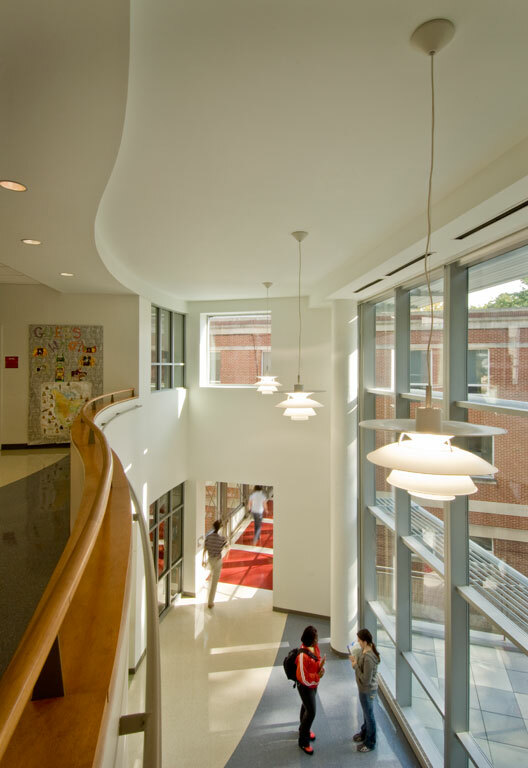 The contemporary style of the Academic Center fits contextually with the adjacent commercial structures of its setting on one of D.C.'s major urban avenues.